There would be no single person on the planet who doesn’t need money. Here we are talking about money earned via Internet. Yes you had heard it right. But, most of the people would likely to end up due to the lack of information. There are certain legitimate online earning programs where you would not need a single penny to invest. Time is the only investment here. 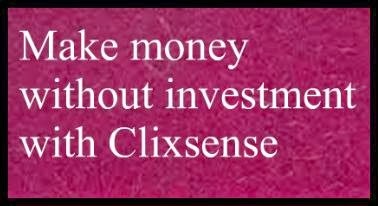 The program that we’re talking about is Clixsense. We’ve already made some handsome bucks with it. Believe us people are still earning with this genuine program. 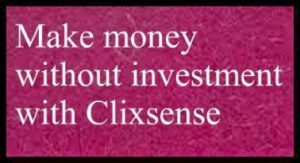 Clixsense is a great platform for people to make money by completing simple tasks like visiting websites, free offers, playing clix-grid, shopping online, paid surveys, completing micro tasks, participating in contests and referring others. 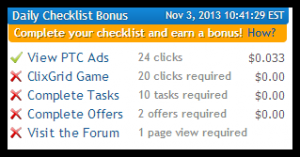 If you effort to try these tasks you could easily earn $50(even more) per month. The only thing you need to do is just follow the steps and start making money from today. 1. Sign up here Clixsense . 2. After sign up verify your account with gmail account. 3. 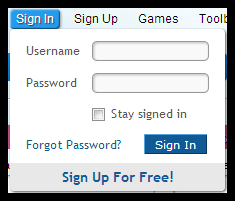 Login into your Clixsense account. 4. 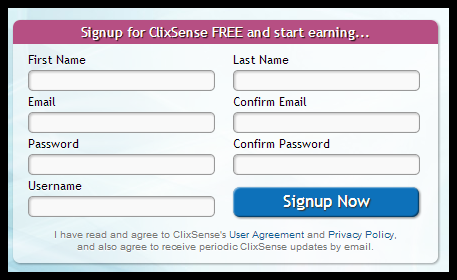 After sign in into your Clixsense account, start viewing adds, perform tasks and complete offers. 5. 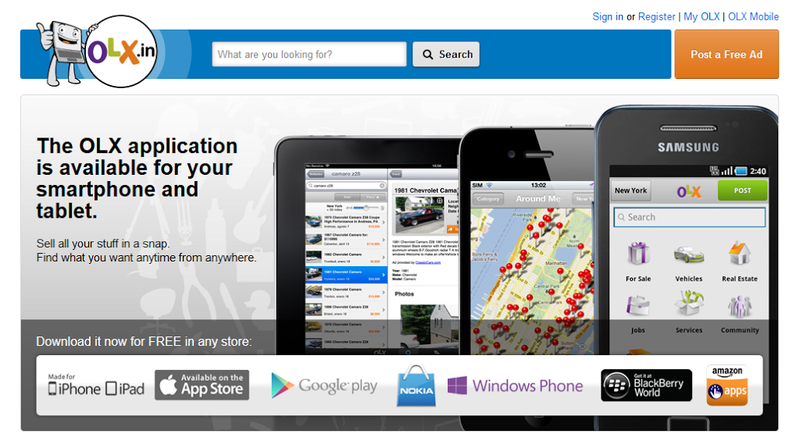 In your home page there appears a refer link of your account, with that link refer your friends and let them sign up. 6. Perform in different micro tasks and complete the surveys. Play clix grid for extra cash. When you complete the task you get a Right mark with green color. If not they appear with Cross mark in red color. 7. After reaching minimum payout you can request money to your account through PayPal. Follow the steps and start making money. For more income do those activities daily with patience and get good results. This is all about making money online doing simple tasks. I hope you like it. Please do share with your friends. OLX.in is a most popular website for free online classifieds in India, in which sellers, traders’ trade or sell their goods, products and also used products (2nd hand). OLX started in end of the March 2006, starting from that day; it revolutionized the global internet market in such a way, as it leads to gross million dollars profit. OLX.in is a free online classified sites where sellers and traders post the ads about their products, goods, 2nd products or used products with complete information about the product, the buyer selects the product and makes a contact with the seller or trader and make deals with him and buys the products. OLX acts a mediator between buyers and sellers, but the individual posting ad is fully responsible about that product, OLX is one type of online marketing where it allows to post free ads, OLX allows users to make contact between them and have transactions face to face, this is like a direct buying like in the market which is very successful as buyer can check all the specifications, design, quality etc of that product and can decide the price and make deal with the seller directly. There are specialized categories for each product like mobile phones, computers, laptops, furniture etc and each separate category with internal sub-categories which made easy to find desired product for user. OLX.in is available in more than 105 countries in 40 languages; in India alone it is available in 500+ cities which made users to sell their products by posting ads in OLX as it is free. Generally advertisements play a major role in marketing, OLX entered in to advertisement/digital media in 2011 with variety of ads, the main slogan or tag line for OLX ad campaign is “Yaha sab kuch biktha hay” meaning “everything can be sale” this is a very catchy tag which was very popular since from its first ad, in the ads itself OLX clearly explains about its objectives, use of their service etc, there were many ads made by OLX like trading furniture, car, grand pa ad etc all are very famous and this made the sellers and entrepreneurs to post ads on OLX. Their campaign is named as “where buyers meet sellers” which is apt for OLX as what it do is same, their ads also depicts the same tag which appears in a funny way. And now, they changed their strategy of “where buyers meet sellers” to “phone ko Banaao Sell phone” (from cell phone) which too became famous, you can that ad below from youtube! In May 2011, OLX hit a mark of 10 million page views as it was just a starting, and in November 2012 it raised to a peak of 92 million page views which was tremendous increase around 900% in just 19 months. OLX is expecting 120 million users to use their service this year and it is expecting to reach the mark of 350 million users in 2015. OLX.in (India), a free online classified site which is one of the world’s biggest online classifieds now, “OLX” is delivering their services in more than 105 countries in 40+ languages where as “OLX India” is now across 600+ cities in India , “OLX India” has successfully completed its 8 years of journey in the internet marketing, since from its beginning in march 2006, “OLX India” is delivering it’s best for the users’, and around the world, OLX has more than 100’s of employees who are working for site maintenance, customer care etc, and providing high quality services since it started their services. Since from its beginning, “OLX India” made a great change in the Indian internet marketing, OLX introduced a new concept from its site saying “where buyers meet sellers” which was a very big hit in the market, this made many users to post their products in the OLX.in site by using their free ads services, starting from small page views and small revenue “OLX India” has reached to some millions of page views. In May 2011, OLX.in has experienced 10 million page views overall, where as in November 2012, it reached to 900% of its previous page views of May 2011, that is a growth of 92 million page views, which seems to be aggressive increase in the users, buyers and sellers, making OLX.in to be one of the world’s biggest online classified site! OLX started it’s TV Ad campaign in 2011, the advertisements are very clear, natural, funny and full of humor, most of the ads are based on daily life, like buying a baby cot for baby, buying a new car thinking it is small compared to neighbor, selling a bike to buy a new one, grand pa ad and others are very popular in OLX TV ad campaign. All ads have one thing in common, they follow same motto, just sell it when you don’t need it! (chal bechtey olx pe) and these ads got good response from viewers and in youtube these ad videos crossed 20 million views (In their official channel). Still OLX team planning to launch their new ads with more humor than the earlier, see the new sell phone strategy ad here! “OLX India” country head Amarjith Batra says that, OLX team pre-assumes that OLX.in is going to hit a mark of 120 million page views this year, and they are expecting 350 million page views at the end of 2015. OLX.in current country head is Amarjit Batra, who had a peculiar perception about OLX growth, he made a deliberate change in the site’s outlook, and Indians are very fond of the “internet marketing” as we can say that facebook achieved their 1 billion in India very fast, overall in Asia, India is the second most internet usage country, daily some millions of people buy and sells goods online through many online sites, but OLX had a separate way! For example: you need to buy a bike in your local surroundings (city) , so you will ask your friends and some other people you know, but it will take so much time to get your bike, in the same way suppose you want to sell your car or bike , first you will tell to your friends and so on, this matters a lot of time, and you always think of selling or buying used products in your local surroundings (city), in a quick way to get things to be done, go to OLX.in straight, post ad in the category which your product belongs to, post the price with your contact number, you will get the deal done, but how? Every company advertises about their products and services for the people through advertisements, for publicity, better understanding about their products & services etc, but many of the advertisements have no meaning now-a-days, OLX advertisements doesn’t belong to this group, they are completely different, funny and good humor concepts; actually OLX started it’s TV ad campaign in 2011, and all ads are very popular as they are very straight forward, just one line is enough to describe about their products, got any used product you don’t want , sell it in OLX ( OLX pe bechdey!) 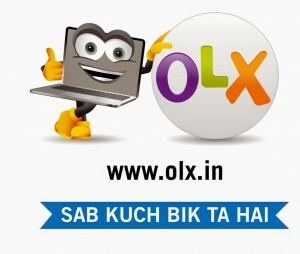 like this there are many ads made by olx.in pointing to their services in a good way! Which made it to be one of the world’s biggest online classified site, serving in more than 100+ countries, in 40+ languages. OLX is the most popular free online classifieds site, which is growing very fastly since 2006, it made a deliberate change in the online marketing in terms of buying, selling, trading, discussing etc., OLX.in is one of the only popular classified site to be available in 105 countries and 40 languages. OLX, the one and only best site to be available to get products, goods, and some other items which may not be available to all places, but OLX made it possible, as the real people post their ads about their unique products or 2nd hand products with images, specifications, description etc , so this made it OLX.in to be one of the best online free classifieds site, in short, OLX is a place where buyer meets the seller directly, for example in OLX ,seller or trader directly posts their products (ADS) on OLX.in and they give detailed information on the product with his contact no. so buyer can directly contact him and can deal the price as he do in the market, so we can say OLX to be the best online social market! 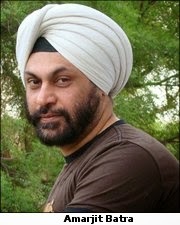 Thanks to MR. Amarjit Batra, country head, OLX.In who made it possible.